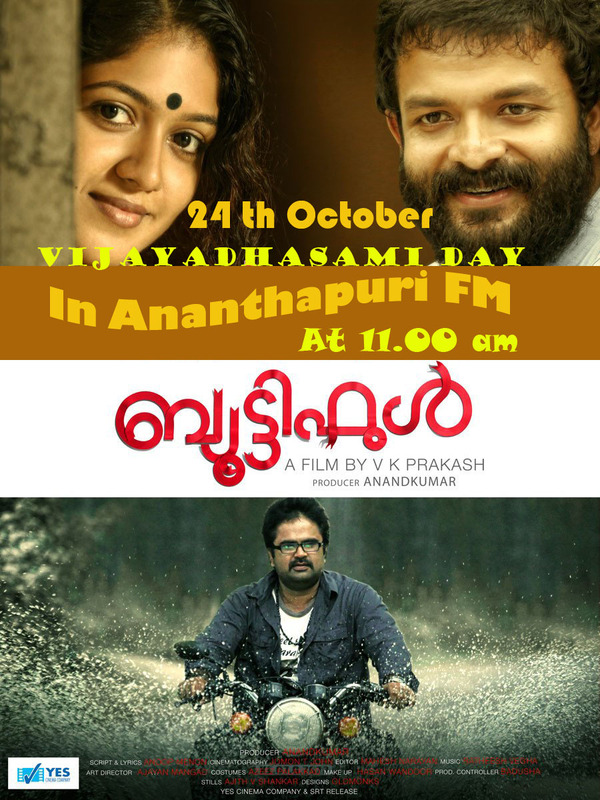 ഈ ഫാന്‍ പേജിലും നിങ്ങള്ക്ക് അഭിപ്രായം രേഖപ്പെടുത്താം. One of the most important gatherings of Asia-Pacific broadcasters in recent times has concluded in Korea with plans to carry the ABU more securely into the digital age. The 49th General Assembly of the Asia-Pacific Broadcasting Union saw more than 700 leaders in the fields of programming, technology, communications, regulation and equipment manufacture gather at the towering 63 Convention Centre on the banks of the Hangang River in downtown Seoul and at the nearby headquarters of the host broadcaster Korean Broadcasting System. For eight days leading up to and including the two-day ABU General Assembly itself, experts from the Asia-Pacific engaged with some of the most important issues facing broadcasting in the digital age, says ABU General Secretary Dr Javad Mottaghi. Dr Mottaghi believes the delegates from more than 50 countries in the Asia-Pacific and around the world went away with new ideas, solutions and vigour. The days leading up to the General Assembly were packed with forums, meetings and working sessions of the Union. 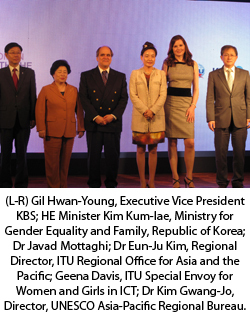 Five new initiatives were launched at the Seoul General Assembly. One of the most significant was a two-day forum Women with the Wave, which focused on gender inequality on-air and in workplaces. It resulted in a call-for-action Statement on practical ways to engender greater involvement by women and girls in the media and technology fields. Other forums looked at the future of broadcasting and news in a time of great digital change – including challenges from social media to traditional audience bases and media ethics – and how public broadcasting can thrive in radically evolving media environments. There were special strands on issues such as sport, radio and television and four days of technical workshops, discussions and demonstrations which cemented what Dr Mottaghi says is a core function of the ABU’s service to members – it technical advice, assistance and exchange. One immediate result has been the issuing of the Seoul Declaration, calling on the region’s governments to reserve broadcasting spectrum on both digital and analogue frequencies for public service broadcasting in the public interest. The formal sessions of the ABU General Assembly itself was foreshadowed by the Union’s President Dr Kim In-Kyu’s call for even greater cooperation between broadcasters in the region and was officially opened by the President of South Korea, Mr Lee Myung-bak, who urged broadcasters to rise to the challenges of the digital revolution. The General Assembly confirmed and adopted the Union’s many new and on-going initiatives and approved a future-focussed strategy – ABU@2020 – which will consider how the Union will position itself to deliver outstanding service and support to its members in the long term. One of the ways the ABU is working to meet the challenges is by greater sharing of expertise and resources, which included the signing of Memorandum of Agreement for greater cooperation between the ABU, the African Union of Broadcasters and the Arab States Broadcasting Union. Although much of the ABU’s annual get-together was devoted to serious organisational, content and technological matters affecting the Union and its members, it provided plenty of opportunity to focus on programming initiatives of its members. The ABU Prizes gala evening saw the awarding of international prizes for radio and television content, technological advances, the inaugural Seoul Prizes, awarded for outstanding broadcasting contributions to the environment; and in special areas such as children’s programming. Two innovations of this year’s General Assembly demonstrated how lively and relevant broadcasting continued to be in the Asia-Pacific. 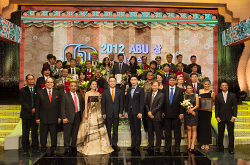 The inaugural ABU Radio Song Festival attracted 26 original entries from 18 radio broadcasters in 15 countries and was won by a boy band, Billy Acoustie, from Korea, while the ABU TV Song Festival showcased 11 of the region’s most popular performers and was recorded for transmission by broadcasters around the world. The General Assembly ended with the election of RTM’s Deputy Director General Ahmad Jailani Muhamed Yunus as Vice President, the election of All India Radio (AIR) to the ABU Administrative Council as well as the re-election of TDM Macau, TRT Turkey and TPT Thailand to the Council. Six new members were also approved to join the Union, taking the total number of members to 227. As a final gesture of recognition and support, the ABU Members gave a standing ovation to the President and his team at KBS, in appreciation of their outstanding organisation and staging of the biggest ever ABU General Assembly. Programs about the environment won both radio and TV categories of the inaugural Seoul Awards presented at the ABU General Assembly gala awards evening in the Korean capital. The Seoul Awards were given to the TV and radio projects that best contributed to the development of broadcasting in the Asia-Pacific region throughout the past year. The inaugural awards were presented by Mr Gil Hwan-young, Vice President of Korean Broadcasting System at a function attended by more than 400 delegates and guests. The winner of the TV category was the CARE (Change Asia, Rescue the Earth) series by KBS and the radio category was won by the Green Radio initiative of RRI-Indonesia. 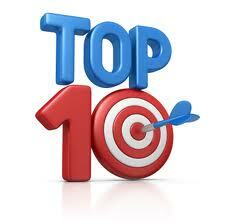 More than 50 radio and television programs or program segments were selected for the finals of the ABU Awards from 166 television and 76 radio entries from 18 countries and 25 organisations, a field the Union’s Secretary-General Dr Javad Mottaghi said reflected the scope and quality of programming the annual ABU Prizes attracts. A popular winner in the Interactive Program Category for radio was SBS Asia Pop entered by Australia’s multicultural broadcaster and which reflected the popularity of Asian music in that country and internationally. The Entertainment TV Award was given to Mr Isao Okajima from JBA Japan for Lady's Story: 1600 Days of Orphan Chimpanzee and a Zookeeper, while the ABU Perspective Award for a program that delivered the best message on a theme – which for 2012 was "water" – was won by Global Report: Endangered Times, The Global Water Crisis by KBS. The Special Jury Prize for the production crew of a TV or radio program that demonstrated innovative and creative ideas despite limited resources went to Metro TV of Indonesia for The President of Grey Republic and to Bangladesh Betar for the radio program Thorns on the Way. The Dennis Anthony Memorial Award for the top news report of the year was sponsored by CNN and won by China Central Television for a report on China's manned space mission. Entertainment at the gala awards dinner was a special performance by Fusion Korea, the World Vision Children's Choir and by popular K-Pop group Infinite. ABU Seoul Prize (Radio) – Green Radio, RRI – Indonesia. Special Jury Prize – The President of Grey Republic, Metro TV, Indonesia. Technical Review Prize 2012 Best Article Award – Dr Ngo Thai Tri, Nguyen Chien Thang and Hoang Thanh Tung, AVG-Vietnam. Dennis Anthony Memorial Award – China’s Manned Space Mission, a Success, CCTV-China. Radio is still powerful, even in a multimedia age. Radio is still powerful, even in a multimedia age.That was the conclusion of an expert working party at the 49th General Assembly of the Asia-Pacific Broadcasting Union taking place in Seoul, Korea, this week. Mike McCluskey, Chair of the Union’s Radio Working Party, told the annual Programme Committee meeting that the working party’s debate on the question was “lively and confronting”. “Radio is powerful in many ways to many people such as in less developed and isolated communities, or to older audiences or in times of emergency,” he said. “It is less powerful to those who have access to multiplatform content, especially mobile and social media.” Mr McCluskey said the expert debate “highlighted the challenges facing radio to maintain its position as a powerful medium”. He said members of the Radio Working Party brought up many case studies demonstrating how broadcasters were making radio and multi-platform content that connected with audiences of all ages and demographics. Greater equality for women in the media is “an unstoppable tide of change”, according to the Secretary General of the Asia-Pacific Broadcasting Union (ABU), Dr Javad Mottaghi. Welcoming delegates to a forum Women with the Wave at the ABU’s 49th General Assembly in Korea, Dr Mottaghi said empowering women was the morally right thing to do and “it makes sense to fully use the talents of men and women at a critical time for the media in our region and around the world”. He said there was evidence Asian and Pacific societies were changing for women, “one half of the world’s population which has been held back by forces such as limited educational opportunities, fear of competition and ignorance in some societies”. “We in the media are changing too and this forum is part of what I sincerely hope will be an unstoppable tide of change. More than 700 senior broadcasters, regulators, industry leaders and associated professionals are attending a week of events culminating in the General Assembly itself on 16 & 17 October. 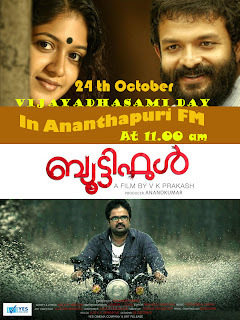 Tune to 101.9 Ananthapuri FM today at 8.00 PM and listen to "Vazhivilakku" phone-in interactive programme. 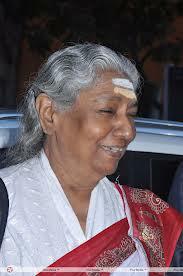 The guest of the day will be Ms. Molly kutty, Member Secretary, Kerala State Pollution Control Board. Listeners can interact with her on issues relating to Pollution control. The telephone numbers are 1707064, 9495961019.